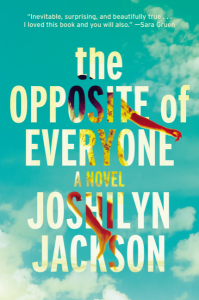 Joshilyn Jackson is one of those authors you can always trust to tell a complex and interesting story, and The Opposite of Everyone is no exception. It sucked me in so deeply, that I devoured it in a single afternoon, not even aware of the thunder and lightning outside my window until I was done. 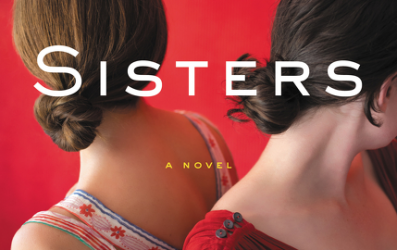 I really liked Paula/Kali, the narrator and main character in this novel. I love the way she described her entry into the world with a mix of brutal candor and poignant humor, and I like the way we see her as an adult for the first time – a lawyer on a case – texting completely wrong things to her ex lover who is also her go-to man when she needs a professional snoop. Her acronym BANKs- a twist on DINKs – made me snort with laughter, but also nod my head, because who doesn’t recognize people like that? That’s really one of Jackson’s strengths, I think: creating characters who are incredibly real, flawed, and sometimes even scarred, human beings. This was evident with Birdwine, the afore=mentioned ex-lover, and with Kai – Paula’s mother who we never spend much time with in person, but get to know through memories and stories nevertheless. I think if she had been more present, instead of being more of a Presence – it would have changed the dynamic of the novel a lot. While it would be easy to dismiss Paula’s cases as fluff or filler, I believe they’re more telling than we realize, not only because it gives us a context for how Paula lives her life, but because the irony of a woman who specializes in divorce but who becomes the driving force in keeping her family together is perfect. And that, right there, is the essence of Jackson: perfect stories told about incredibly imperfect people. Don’t buy this book if you think it’s going to be another fluffy relationship novel. There’s a place for those stories, too, but this one, The Opposite of Everyone, has more depth. DO buy this book if you like contemporary fiction about strong women who sometimes have weak moments. Goes well with tandoori chicken, jasmine rice, and iced hibiscus tea. 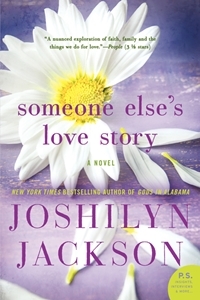 Joshilyn Jackson’s books are always stories I look forward to reading. Her work is the perfect compliment to a cup of mint tea or glass of wine, a tub full of bubbles and a long, relaxing soak. This book, Someone Else’s Love Story is no exception. From the first page, the story is compelling. We meet Shandi, her mother, her young son Natty, and her childhood friend Walcott. In any other novel Walcott would be the gay best friend, but Jackson defies convention…he’s absolutely straight. A bit later, we meet William, intelligent, athletic, ex-military William, who has his own tragic backstory. Then we see Shandi and William thrown together in the worst possible scenario: a convenience story robbery, and we think this book is about them. Well, it is, and it isn’t, and to say more would spoil the story, so here’s what you need to know: in Jackson’s character’s words you can hear ever nuance of the South, you can smell the magnolia blossoms, taste the fried chicken, and you know exactly how much twang every character has in his or her voice. The women are especially vivid, but Jackson’s male characters are always dimensional as well. One of Jackson’s other flair’s though, is that she finds parts of southern culture no one expects. This book looks at what it’s like to be the only (part) Jewish person in a sleepy Southern town, and how it feels to be the son of two lesbians in the same small-town culture. 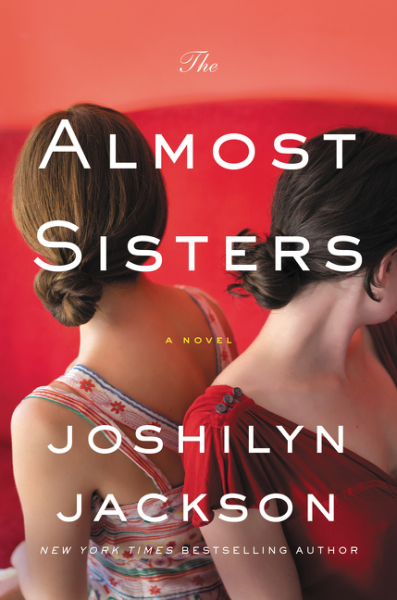 It also examines themes like motherhood, the mother-daughter relationship, and the difference between comfortable friends and the comfort of a lover. Taken as a whole, Someone Else’s Love Story should be on everyone’s must-read list, because it’s a fast read with a deceptively deep meaning. Goes well with chicken salad and iced sweet tea, followed by peach cobbler. This review is part of a blog tour sponsored by TLC Book Tours. For more information, and the complete list of tour stops click HERE.